Speed Academy released update on the Lotus Evora Electric project. The car is being converted to electric drive, with the use of a Tesla Model S powertrain and two Chevrolet Volt battery packs (2x 16 kWh). The Tesla motor, powered from a single Volt battery was tested on the dyno, and it's an impressive result. At full power (two battery packs) it could be scary, so further tests will be performed after installation in car. 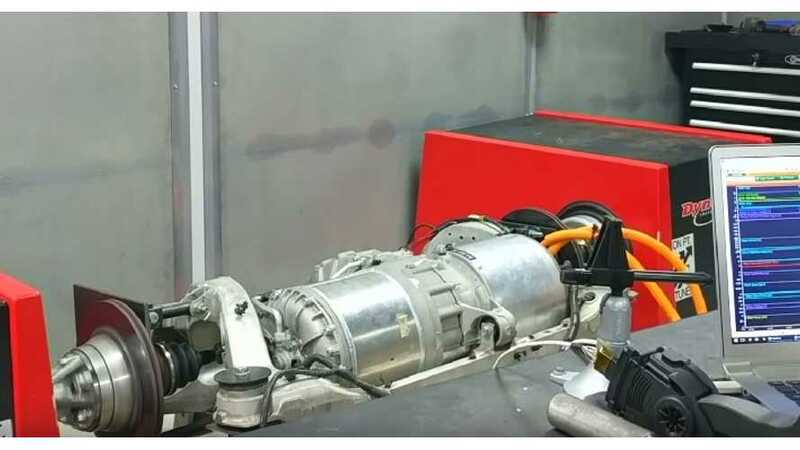 The Tesla electric motor sees dyno action with the help of a Motec ECU and Sasha from Onpoint Dyno updates us on other work he has completed on the custom Lotus Evora Electric Car.